Kei came to Australia at the age of 18 and studied IT at technical college and university. During his university years, he worked as a Driver Guide at a Perth-based Japanese tour operator and through this experience became acquainted with the Australian tourism industry. 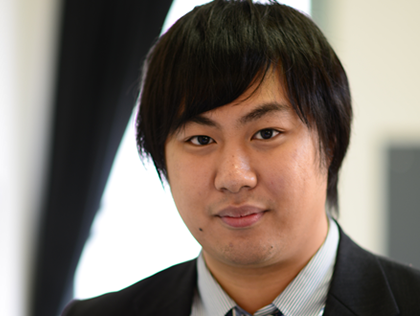 After completing his studies and resigning from the tour operator, Kei established website development and PC maintenance business GITS International in Perth. Numerous achievements of the company to date include securing as clients a number of large public institutions and private companies. GITS International currently operates a range of IT support and implementation services for various clients in both Australia and Japan, while putting particular emphasis on various internet media and web services to deliver useful service and information to customers worldwide. In the hospitality sector, the focus of your staff on customer service adds value to your business. Although digital technology is pervasive in the modern world, there are many hospitality and restaurant workers who must complete every process by hand. In my experience in the restaurant business in Australia, I have often felt keenly that the industry has been slow to adopt the benefits of IT technology. It is not an easy task to focus on improving the quality of your dishes and your customer service while you actually have a restaurant to run. The reality is that restaurant staff are constantly under time pressure, and reducing the workload wherever possible is a major concern not only for staff but also for managers. While many aspects of the restaurant business will never be digitised, using new technology to streamline operations where possible will energise restaurants and assist in developing a richer world food culture. This has been my strong desire over a long period of time in the resaurant business.